We've been using ITP Tires on our TRAIL TECH projects for years now and love how the company seems to constantly innovate with new products to meet the demands of the off-road marketplace. 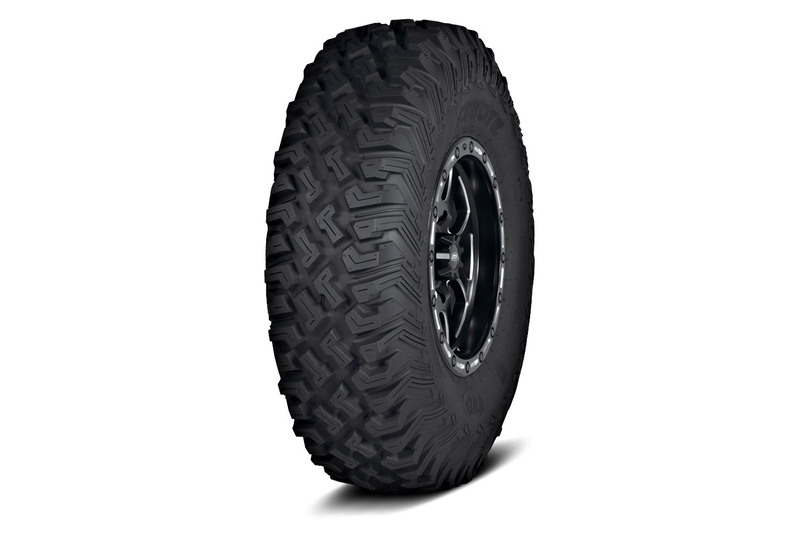 One tire we're particularly impressed by is its new 8-ply Coyote radial tire. We had the opportunity to experience this tire first-hand while evaluating the all-new RZR Turbo S upon which the Coyotes come stock and can speak to their durability in the harsh desert terrain surrounding Las Vegas. Featuring unmatched traction and side bite, these 32-inch monsters (32x10x15) stood up to our abuse over the course of our ride day and while other brands experienced punctures and pinch flats, the 8-ply durability and radial construction of the Coyote tires took to the challenge without any failures on over a dozen Coyote equipped RZRs. ITP developed the Coyote specifically for high-horsepower side-x-sides used in an unforgiving desert environment. Their aggressive tread pattern is perfect for gravely surfaces and sandy terrain providing the optimal footprint for even pressure distribution. ITP Coyote tires are compliant with DOT standards and proudly made in the USA.